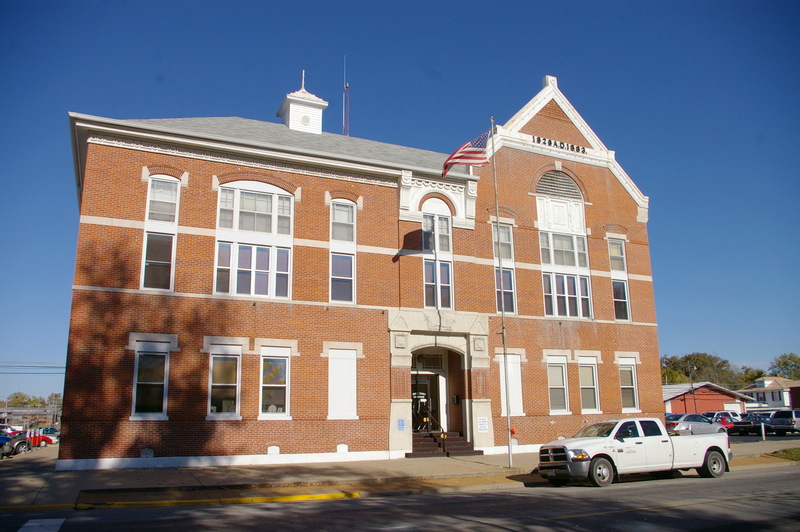 White County is named for Leonard White, who was a member of the Constitutional Convention of 1818. 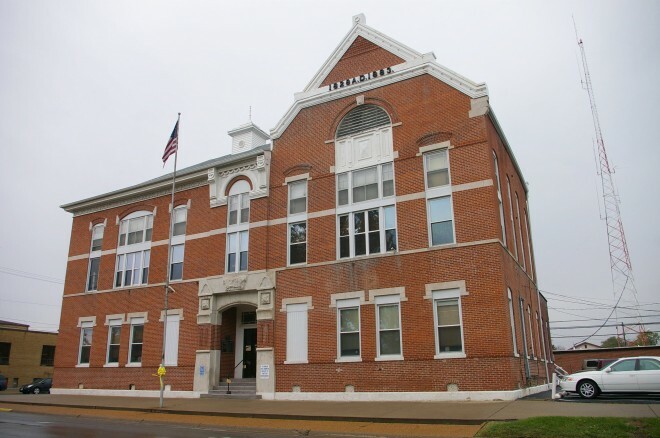 Description: The building faces south and is a three story red colored brick structure. 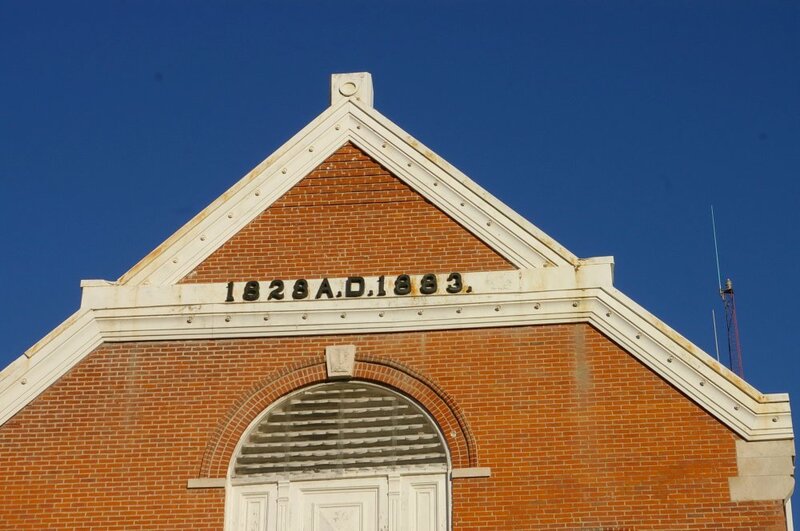 On the east side the roof rises to a peak with white colored gables and a band containing the date of the county establishment and date of the building. In the center of the south side is the recessed doorway with white stone across the header and on either side of the entrance. The roof is hipped. 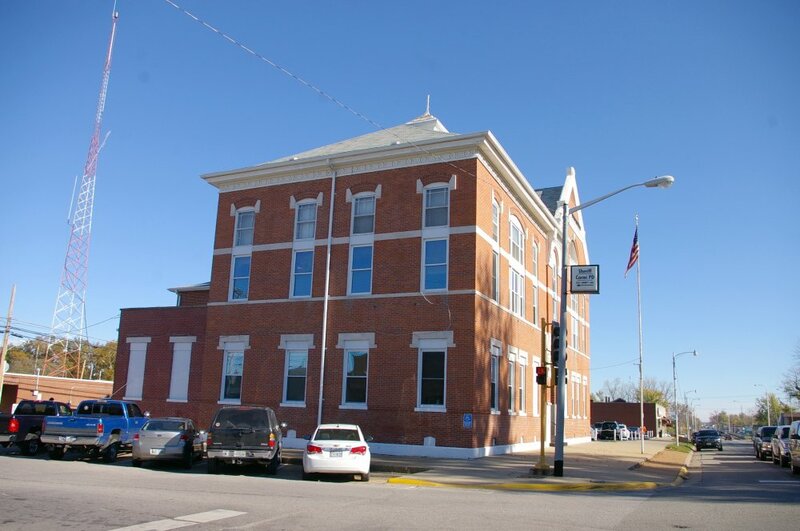 Note: The courthouse was built in 1828 for a cost of $3,000. 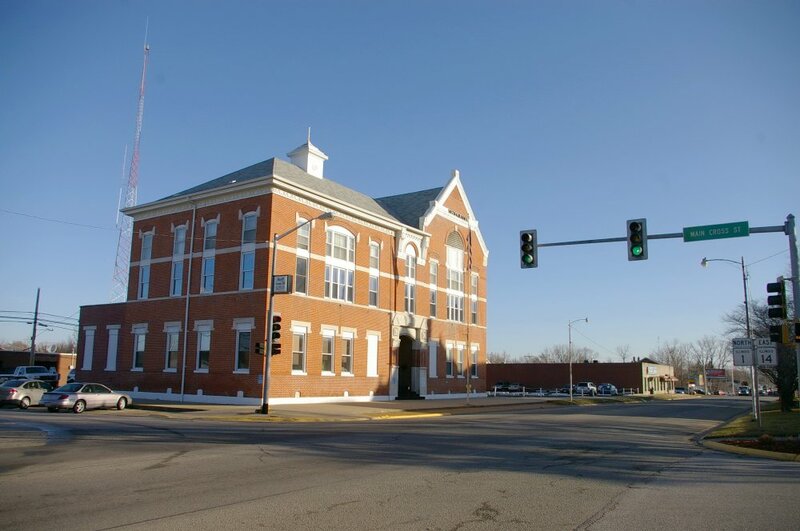 In 1883 to 1884, the building was expanded to 40 feet by 85 feet, incorporating the original structure and adding four offices and vaults, jury room, courtroom and gallery. The cost was $12,000. 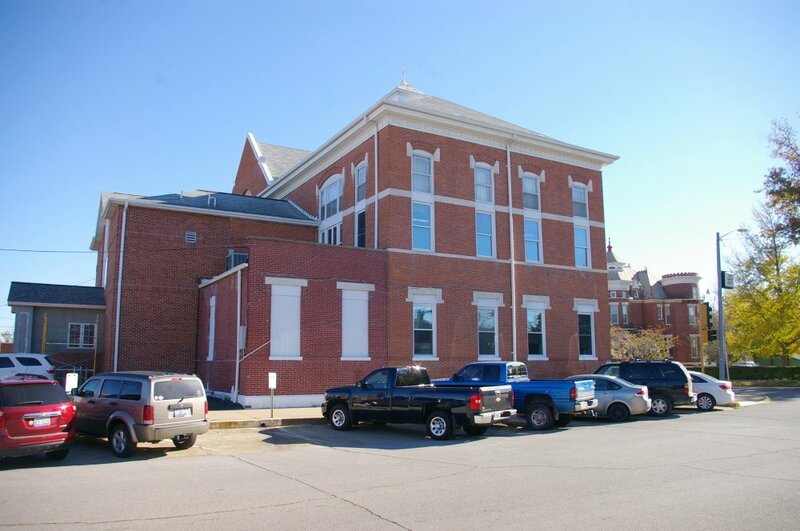 James Robert (“Dollar Bob”) Williams oversaw the renovation construction of the courthouse while serving as County Judge from 1882-1886. The land was donated in 1882 by John Montgomery Crebs, who was a colonel in the Illinois 87th infantry during the Civil War.